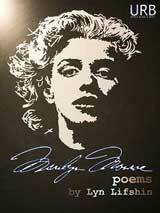 Marilyn Monroe: Poems reissued in 2013! Watch Lyn Lifshin doing the Argentine Tango! 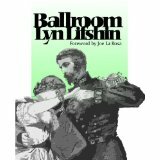 Lyn Lifshin has written more than 125 books and edited 4 anthologies of women writers. Her poems have appeared in most poetry and literary magazines in the U.S.A, and her work has been included in virtually every major anthology of recent writing by women. She has given more than 700 readings across the U.S.A. and has appeared at Dartmouth and Skidmore colleges, Cornell University, the Shakespeare Library, Whitney Museum, and Huntington Library. 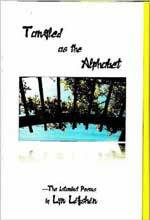 Lyn Lifshin has also taught poetry and prose writing for many years at universities, colleges and high schools, and has been Poet in Residence at the University of Rochester, Antioch, and Colorado Mountain College. Winner of numerous awards including the Jack Kerouac Award for her book Kiss The Skin Off, Lyn is the subject of the documentary film Lyn Lifshin: Not Made of Glass. 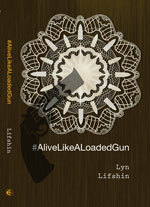 For her absolute dedication to the small presses which first published her, and for managing to survive on her own apart from any major publishing house or academic institution, Lifshin has earned the distinction "Queen of the Small Presses." She has been praised by Robert Frost, Ken Kesey and Richard Eberhart, and Ed Sanders has seen her as "a modern Emily Dickinson." 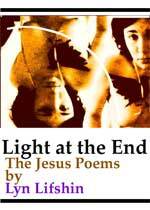 Lyn Lifshin's prizewinning book (Paterson Poetry Award) Before It's Light was published Winter 1999-2000 by Black Sparrow Press, following their publication of Cold Comfort in 1997. 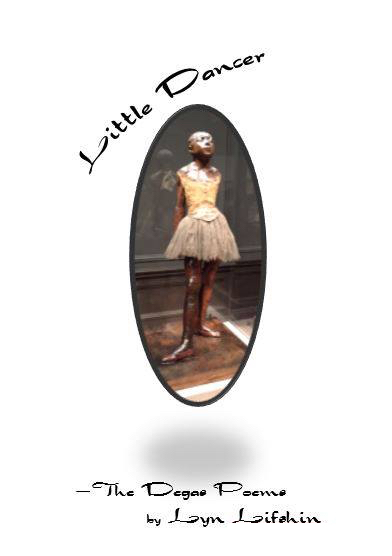 The Licorice Daughter was published in February 2006 and Another Woman who Looks Like Me was published by Black Sparrow-David Godine in October 2006. (order@godine.com) Also books include A New Film About a Woman in Love with the Dead, March Street Press, Marilyn Monroe, When a Cat Dies, Another Woman's Story, Barbie Poems, The Daughter I Don't Have, What Matters Most, and Blue Tattoo. Lifshin has won awards for her non-fiction and edited four anthologies of women's writing including Tangled Vines, Ariadne's Thread and Lips Unsealed. 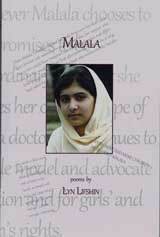 Her poems have appeared in most literary and poetry magazines. Her poem "No More Apologizing" has been called "among the most impressive documents of the women's poetry movement" by Alicia Ostriker. 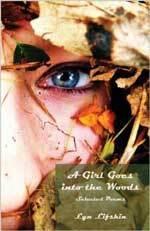 An update to her Gale Research Projects Autobiographical Series, "On the Outside, Lips, Blues, Blue Lace," was published in Spring, 2003. 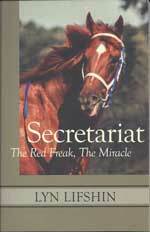 Texas Review Press published her poems about the famous, short-lived, beautiful race horse, Ruffian: The Licorice Daughter: My Year with Ruffian. 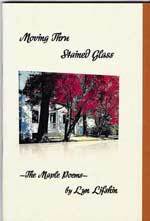 New books include Mirrors, August Wind, Novemberly and just out spring 2008, 92 Rapple Drive and Desire. 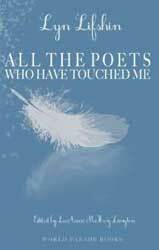 She is working on a collection about poets, Poets, (Mostly) Who Have Touched Me, Living and Dead. All True, Especially the Lies will be published by World Parade and Tsunami will come from Blue Heron Press. Other forthcoming books include a book about the courageous and riveting race horse, Barbaro: Beyond Brokenness from Texas Review Press, Nutley Pond from Goose River Press, Lost in the Fog from Finishing Line Press, Persephone from Red Hen. For interviews, more bio material, photographs, reviews, a contact, interviews and samples of her work, browse this website: www.lynlifshin.com. 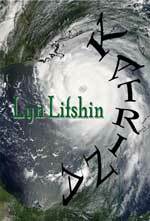 Download Lyn Lifshin's Radio interview on janecrown.com or listen in streaming audio. Rare copies found! 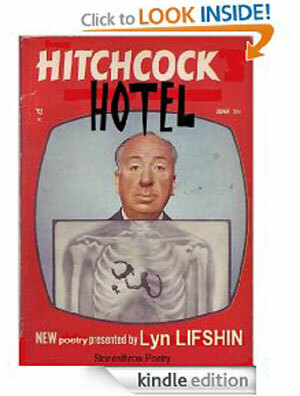 The Companion Volume to the film: Not Made of Glass available from the author. Read Lyn's thoughts about Caffe Lena, where she read in July, 2006. 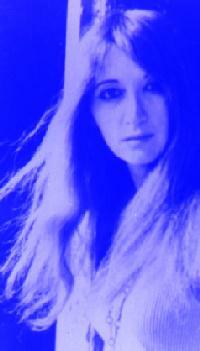 New selection of Lyn's poetry on The Pedestal Magazine and more of Lynn's poetry on the web. Another new chapbook, July 2004: Another Woman's Story, $5.00, limited (collector's edition) item, available from Butcher Shop Press, David Greenspan, 529 Beech 132nd Street, Rockaway Beach, NY 11694. Email: butchershoppress@hotmail.com. Read Laura Stamps' review of Lyn's newest book: When a Cat Dies and order the book. Four-part interview of Lyn by Babel Magazine, and particularly her delightful answer to question 25! A New Film About a Woman in Love with the Dead (March Street Press). Learn more and read a review . . .
New Chapbook: She Was Found Treading Water Deep Out in the Ocean, by Lyn Lifshin, from Platonic 3Way Press. 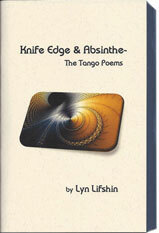 More poetry, books, prose of Lyn. Browse the site.